Sackets Harbor is a wonderful historic and scenic area of the North Country. Located on the shores of Lake Ontario, Sackets Harbor offers a surplus of waterfront homes and cottages with unique and historical architecture. The village of Sackets Harbor blooms during the summer months with outdoor dining at Tin Pan Galley and The Sackets Boathouse. Music festivals are common, and public docking can be found in several places, encouraging visitation and summer fun. In downtown Sackets Harbor you will find plenty of antique and retail stores to shop at along the picturesque tree-lined streets. Sackets Harbor is prided on the locality of the village, with family-owned businesses flourishing. Art galleries, museums and live historical demonstrations are a few more key attractions that can be found in this lovely village. The Sackets Harbor Battlefield is the historical site of the Battle of 1812, with the Madison Barracks still being a major attraction. The Sackets Harbor School District is home to the Varsity Boys Basketball State Champions of 2012, and fosters other great athletic and academic activities for students. 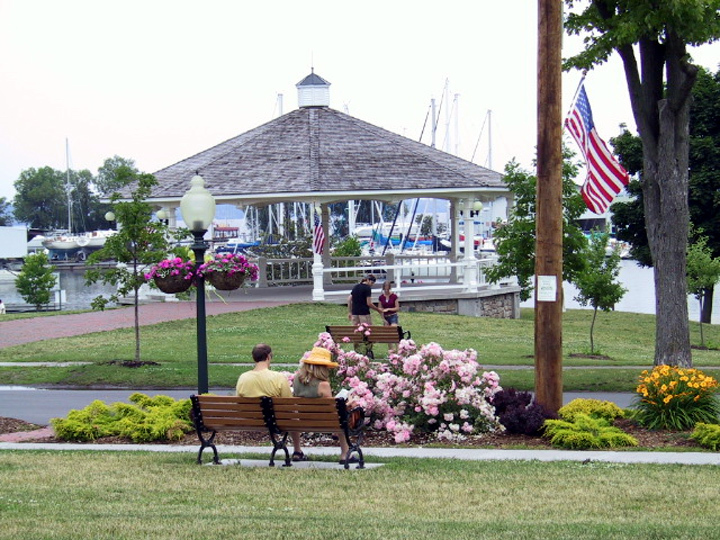 Sackets Harbor is a great place to raise a family, live, or even rent a summer home. We strongly encourage you to speak with one of our agents further about this amazing and historical area.